At BEDWORKS we pride ourselves on always having a wide range of quality products We have a large variety of KING SINGLE bed frames to choose from in both timber and upholstered styles, with or without storage options. If growing teenage boys and girls across Australia could thank one person in the bedding industry, it would likely be the genius who invented the king single bed. The single bed has long reigned as the ‘kid’s bed of choice’, and for good reason. Inexpensive and perfectly sized for a little one that has outgrown a cot, single beds fit easily in the smaller children’s rooms, are easily moveable, and due to their small surface area, are equally easy and inexpensive to customise to a youngster’s tastes (“Mum, I want my bed to have red stripes!”). However, a common problem presented itself as time went by. Every parent’s nightmare – puberty – eventually shows up. In addition to turning your little angel into a stranger that finds you “terribly embarrassing”, those knee-high kids begin to grow like crazy, rapidly outgrowing every piece of clothing they own – as well as their beds. As any parent with now-older youngsters can attest, the type of growth you may expect to take four years often happens in less than one! Through no fault of our own, we may not realise that although our child still physically fits in his or her single bed, it is now far from an optimal sleeping experience. And many children spend far too long sleeping in a single because, as far as the average person is aware, the next step up is the double, which may not always be viable due to budgetary or space constrictions. We’re here to tell you that there is an elegant solution – the king single bed! The Australian single bed measurements are 92cm x 188cm. This is more than enough space for a small child fresh from the cot, but as a child grows (especially considering today’s taller children), this amount of space becomes cramped. For bigger youths, before you know it their feet can literally be hanging off the bed. Thanks to genetics, some of us are naturally thin, even after our metabolism catches up with a growth spurt. For these pre-teen and teen years, a long single bed may be the right choice. 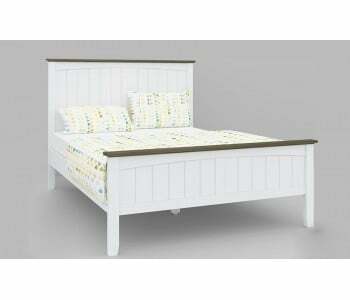 Measuring 92cm x 204cm, this bed is long enough for nearly any young adult. 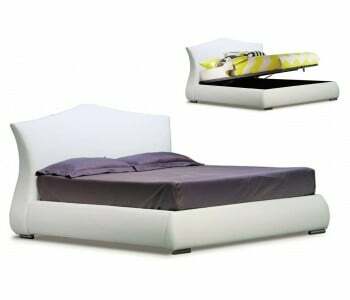 However, it offers no additional width when compared to a regular single bed. So if your young one is ‘putting on size’ as well as height, or is likely to, this is not the best solution. Enter the king-sized single. 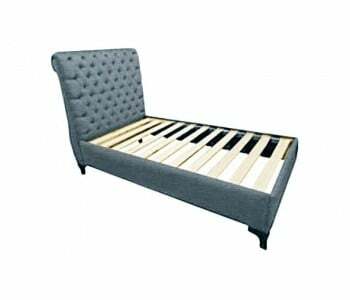 The king single bed measures 107cm x 203cm - a full 15 cm wider than the single bed or the long single bed. The practical result of this is that the bed’s occupant now has more room than someone sharing a king bed with another person would! If that sounds a bit too coddling, remember that in those formative years, proper rest and nutrition directly affect our child's mental and physical development. Any of us who slept in a single bed until leaving home will agree that a larger option, especially in the teenage years, would have been welcome! 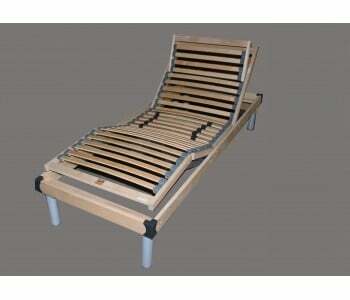 The king single bed frame has proven itself the best choice for a number of situations. A common one is where a double bed is simply too wide for the space. Children’s rooms (especially ones that started off as a nursery) tend to be considerably narrower than master bedrooms or even guest bedrooms. Further, with reading desks and cupboards, toys, and, let's be honest, the mess that features in children’s rooms, an unnecessarily wide bed can eat up valuable real estate. 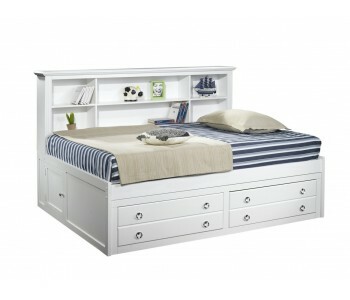 For a single growing or larger teen, the king single bed is more than enough. Forward-thinking parents have also utilised the king single bed as a temporary solution for very young twins or children close in age. As a growing family necessitates the purchase of a new home, purchasing two separate beds or a double bed before the move would not be a wise investment. The king single bed allows their small children to sleep comfortably in each other’s company until the time comes for a new home and exciting new sleeping arrangements. But the king single bed is not only for children. It is the number one option for single adults where space is extremely limited. In studio apartments, and certainly in the ever-more-popular ‘micro apartments’, bed choices must carefully balance comfort with usage of space. The same is true for one-bedroom dwellings where the bedroom is on the smaller side. The king single bed allows a perfect night’s sleep while leaving room for other furnishings. Unsurprisingly, king single beds have also become extremely popular as the choice for guest rooms. Any friend or family member staying the night (or many) is relieved to enter the guest room and be greeted by a comfortable, adult sized bed. And when it's time for a deep clean or a rearrangement to keep things fresh, the king single bed frame is easily moved by a single person. 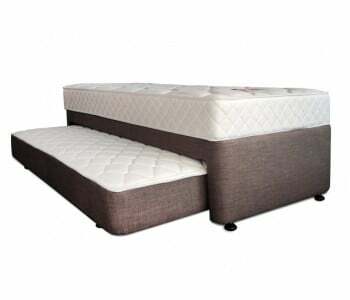 The king single bed has proven to be a welcome addition to the bed type lineup. Large enough for nearly any individual, while remaining inexpensive and compact enough for practically any room, it is one of the best choices for a single occupancy bed. 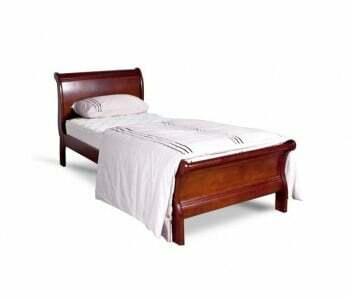 Looking for the finest selection of Sydney king single beds? Peruse our lineup! 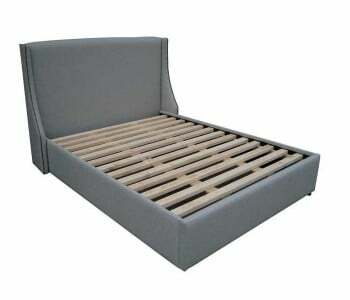 Use our BEDMAKER Design Your Own Bed tool online to customise your king single upholstery bed frame before you decide. Buying your new king single bed and bed frame has never been easier! Simply browse online, decide on your style and CUSTOM-DESIGN option, and opt for pickup from one of our Sydney showrooms or fast delivery straight to your home. Our BUY NOW, PAY LATER option is available on all orders above $999.